India is the eighth largest inbound tourist market for Australia with 335,100 tourists visiting the country in the last year. 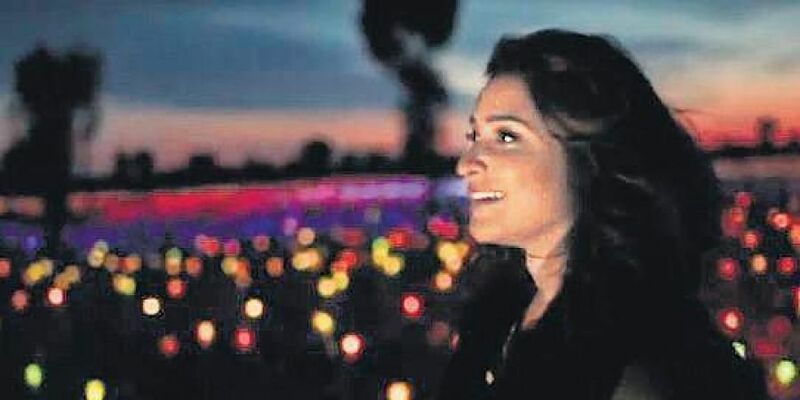 To woo more tourists from India, Tourism Australia recently rolled out a multi-ad campaign featuring actress Parineeti Chopra. Conceptualised by BBDO Sydney, the campaign looks to address some popular misconceptions about Australia and highlights its many tourist attractions. So, what are these misconceptions? Well, 78 per cent of Indians think Australia is a daytime destination; 84 per cent think the best way to see Australia is on foot; 86 per cent think Australia is all about cute, furry animals; 81 per cent think Australia is all about its cities; and 81 per cent think Australia is all about its amazing beaches. Frankly, these misconceptions don’t really sound so very challenging or overwhelming or negative. Nevertheless, Tourism Australia uses these research feedbacks to get Parineeti Chopra to ‘UnDiscover’ Australia. So, the not-so-young actress revels in Australian nightlife in Sydney, Gold Coast and Uluru in the Northern Territory and concludes that “There’s Nothing Like Australia”. Similarly, to dispel the misconception about Australia being best seen on foot, Parineeti self-drives in Gold Coast, hops on to a Sea World helicopter and also sails tall ships in Sydney Harbour. Parineeti also gets to hug dolphins at the Great Barrier Reef in Queensland and wander around picturesque beaches and nature reserves in Uluru, Whitehaven and Yarra Valley. To UnDiscover art, history and sporting culture, the Indian actress gets to meander around Melbourne’s Lane Ways and even ends up on a touristy trip to the Melbourne Cricket Ground in Victoria. I am sure Parineeti Chopra really loved shooting this campaign. So much to see, so much (or so little) to do. But the campaign itself leaves you with no new reason to explore Down Under. The narrative and the imagery is nothing new. It is an unimaginative amalgam of images that could have been shot just about anywhere in the world. Parineeti sleep-walks through the commercials. A lot of time, money and effort got completely wasted on poor ideation, poor creative rendition and very very poor story telling. India is the eighth largest inbound tourist market for Australia with 335,100 tourists visiting the country in the last year. I am sure there is opportunity to do much much better. But Australia will need a better brand ambassador and a more compelling ad campaign to woo perhaps a million Indians this year. Till then, the kangaroos have to just wait. Another campaign that has recently used (or misused) celebrities is Cars24, who advises that “Car bechni ho, toh Cars24”. The campaign features Mandira Bedi and Nawazuddin Siddiqui. The TVC with Siddiqui shows him looking to sell his first car. His neighbor suggests that he gifts the car to him, as he doesn’t need the money anymore. Siddiqui turns down that meaningful advice and goes to Cars24, to get the price his car deserves. The second film features Bedi talking of the time when she was harassed endlessly by all kinds of pesky calls at all times of the day, inquiring about the car she’d listed online. A friend suggests Cars24 and Bedi loves the Cars24 experience. Frankly, both commercials are very matter-of-fact. Problem-solution. Nothing wrong with that. But I have really not understood why Cars24 needed an endorsement from either Nawaz or Mandira. If memory serves me right, this used-car brand used to have Boman Irani as its endorser till very recently. I suppose he was no longer felt to be useful to the brand. Wonder why. I mostimes do not understand the never-ending appetite of brands for celebrities. Somehow the logic runs that an ad with a celebrity is better than an ad without a celebrity. Unfortunately, very little thought seems to be expended on why the celebrity is needed; which celebrity will have credibility; which celebrity will add value to the brand and the communication; and finally what exactly should the celebrity be used to communicate about the brand or the proposition. Celebrities are supposed to stimulate ‘emulative action’, which really means that I would, as a consumer, do what the celebrity is shown doing in the ad. The prime requisite for this to happen is that I must first want to ‘emulate’ the celebrity as a possible role model. Honestly, neither Parineeti for Australia and Mandira for Cars24 quite make the cut.